The 2008 US presidential campaign saw politicians utilizing all types of new media -- Facebook, MySpace, YouTube, Twitter, e-mail, and cell phone texting - to reach voters of all ages, ethnicities, socio-economic backgrounds, and sexual orientations. This volume examines the use of these media and considers the effectiveness of reaching voters through these channels. 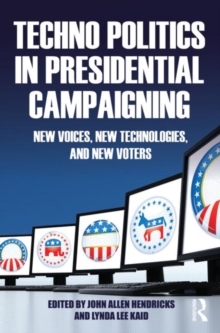 It explores not only the use of new media and technologies but also the role these tactics played in attracting new voters and communicating with the electorate during the 2008 presidential debates. Chapters focus on how the technologies were used by candidates, the press, and voters.